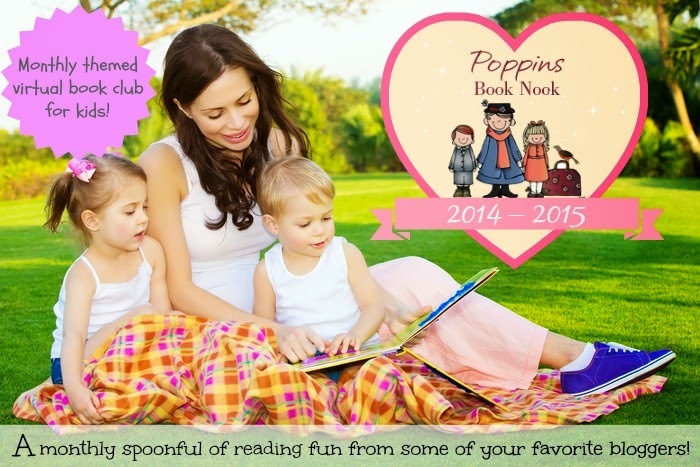 Poppin's Book Nook is looking for some Pirate booty this month! We have read a lot of great pirate books around here, so I was happy to stumble across a couple we hadn't read yet for this month's adventure! The books we found are Pirate Pete and Pirate Pete's Giant Adventure (we read Pirate Pete's Talk Like a Pirate last Talk Like a Pirate Day)! 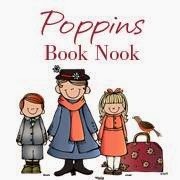 In each of these books, Pirate Pete and his trusty parrot are headed to look for treasure (what else would a pirate be doing). 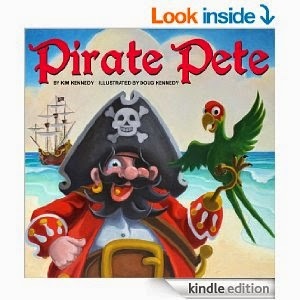 In Pirate Pete, he steals a treasure map and veers off course so many times that he gets caught! 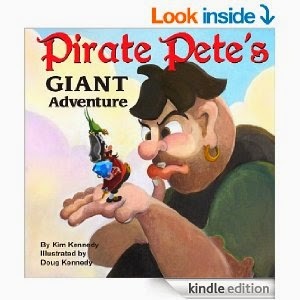 Pirate Pete's Giant Adventure picks up where the first book ends with Pete and his parrot out to sea in just a little row boat and no gold. This time he outwits a giant to help out the sea-fairies! My kids loved Pirate Pete's silliness! I wanted to go on a treasure hunt like Pirate Pete did, but at the same time, we have done that a couple different ways already (gross motor treasure hunt and sight word treasure hunt). So I decided we would go on a real treasure hunt! We would go geocaching! Geocaching is like real life treasure hunting except now we have a GPS instead of a hand-drawn map, and the treasure you find isn't worth much money. 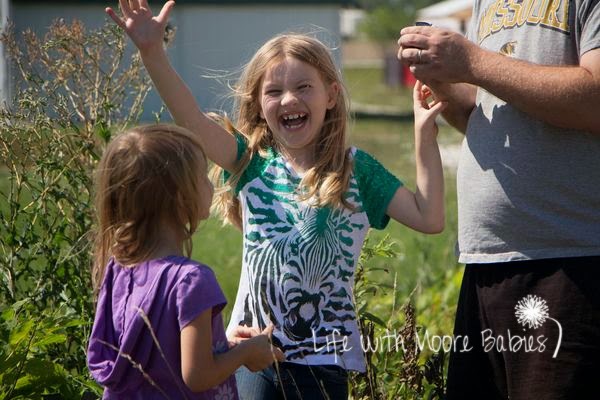 The excitement of finding something that someone else has hid is even better than a backyard treasure hunt for kids! We started with a couple small, easy ones, and then we went on to find some larger ones where you actually get to take an item and leave an item. Obviously, these were the favorites of the kids. They kept cheering, "another geocache, another geocache!" The little one eve said he wants to geocache for his birthday (ummmm......we might be going a bit far with that one). 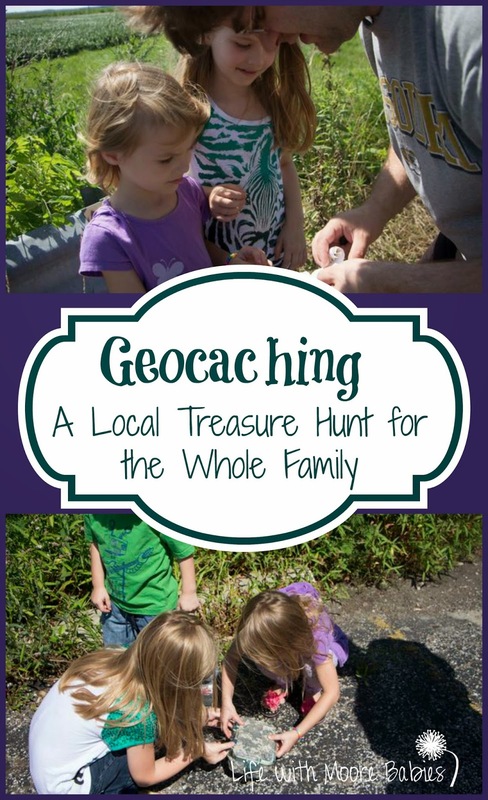 Geocaching is a fun family activity, and it can help advance kids map skills. 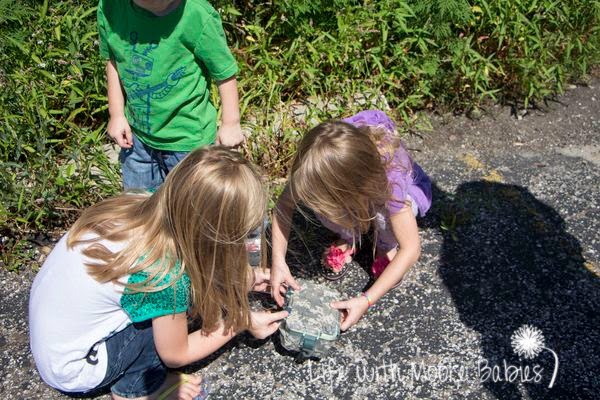 It can also help kids become more observant; you never know where a cache will be hidden (in the post of a street sign, under a rock, in a tree)! 1) Be aware that many caches will be in areas with long grass. Try to wear long pants and sneakers to prevent scratches. 2) Likewise, you may want to use bug spray to deter ticks and other pests. Be sure to check for them when you get home as well; we don't want any tick born diseases! 3) Check the weather before you go. Besides the obvious of avoiding bad weather, I would avoid going right after it rains or when it is extremely hot. 4) There can be a good amount of walking involved, take water bottles with you! 5) Be sure to carry a pen, so you can log that you have been there, and if you are taking your kids, make sure to take along some small family friendly things to leave in exchange for new "treasure." Small plastic animals, army men, bouncy balls, or really any small toy works well. Want to try it? You can head over to geocaching.com to find caches near you! 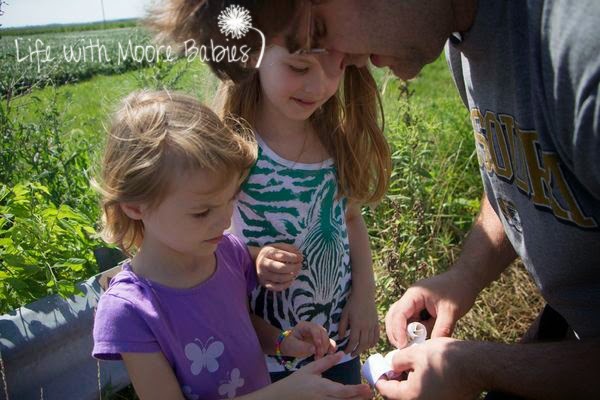 You may be surprised how near they really are, and then you can enjoy your own local treasure hunts! Link up your Pirate Fun below, and join us next month when we explore what we want to be when we grow up!